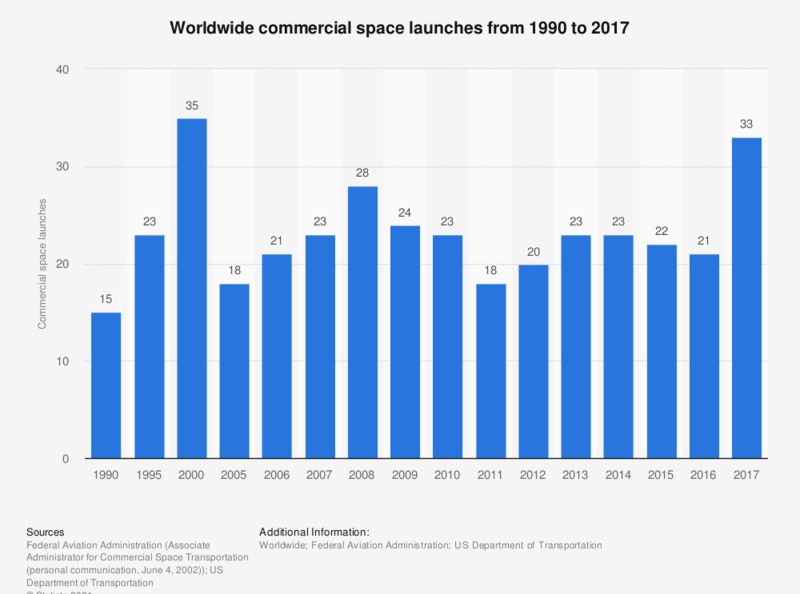 This statistic represents worldwide commercial space launches from 1990 to 2017. Globally, there were 33 commercial space launches in 2017. The major nations conducting space launches include Russia, the United States and the member states of ESA.